It would be great if all sources we used to create history were complete, with perfect viewpoints, and no agendas of any kind, but that’s simply not true. It’s never been that way, even among the earliest of historians. Limitations due to point of view, time, and distance affect us all. In this post, I’m going to take a look at three ancient writers, Herodotus, Polybius, and Aeschylus, and show some of the characteristics and factors that affect their view of certain events. One of the big issues when it comes to describing naval warfare, as opposed to land warfare, is point of view. In most situations, unless the battle was near an elevated terrain feature, it would be difficult for an eyewitness to describe the exact movement of naval forces against each other. Eyewitnesses are limited to the ship they occupied and its view. Herodotus and Polybius show us that there can be hundreds of ships in any ancient naval battle, and the spread of forces had the potential to be much wider than in a land engagement. Land battles in the ancient world are usually more compact affairs, and the potential to observe coordinated movement of troops would be greater, for observers and participants. The general body of knowledge regarding naval warfare is not as well-known as that of land warfare. A typical historian writing well after the fact can more easily imagine the movements and collision of forces on land than the specialized tactics and movement of ships. The exception, of course, is the historian experienced in that sort of warfare. Herodotus’ account of the Battle of Salamis suffers from a lack of detail regarding the tactics of what happened during the battle. In fact, he almost dismisses the collision of the main body of ships: “For as the Greeks fought in order and kept their line, while the barbarians were in confusion and had no plan in anything that they did, the issue of the battle could scarce be other than it was”. That, according to Herodotus, sums up what happened in one neat little line. Apparently that was enough? Though Herodotus is light on tactics, he does provide however, a who’s who of participants in the battle, a summary of how the squadrons were lined up, and the fates of several groups of participants. He provides a good deal of information on the actions of Queen Artemisia of Halicarnassus , which could be due to Herodotus himself being from Halicarnassus. It seems that the biggest problem Herodotus faced when recounting Salamis was not the strategic meetings and maneuvering before the battle but the actual tactical disposition of the ships during the battle. This could have been because the history was written 40 years after the fact, when larger details would have stood out more than smaller ones, particularly if eyewitnesses by that time were hard to come by. We also have to remember that Herodotus was one of, if not the first person to bring together historical accounts into record. He did not have the benefit of much that was written down before him. 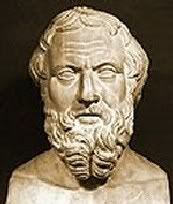 Had there been written accounts of what happened at Salamis before Herodotus created his history, he may have been able to provide a more accurate account of the tactics of the battle. Polybius, on the other hand, benefited from more than 200 years of historiographic practice between Herodotus and himself. His accounts of Roman naval tactics are much more detailed, presumably because he was able to draw from more accurate sources. Polybius gives a highly detailed tactical account of the naval Battle of Ecnomus, which resembled the land Battle of Cannae, with an attempt by the Carthaginians to execute a pincer maneuver on the Roman fleet. Polybius describes the movements of all of the Carthaginian and Roman squadrons, including the pivotal moment when the two Roman squadrons in the center were able to flip direction and attack the flanking Carthaginians in the rear . Elsewhere, Polybius also very accurately describes the structure of the corvus boarding ramp  and gives details of how it was used for the first time in battle . Polybius wisely relates to his readers how this device worked near the beginning of his account of the major naval actions of the First Punic War. As this was a primary Roman naval machine used throughout war, the reader has the function of the corvus in mind while reading the tactical accounts of a battle like Ecnomus. Polybius, also being a close ally of the Scipio family, had access to information about the Punic Wars that other writers did not possess. Awake the vengeance of offended Jove. Through the course of the play, Aeschylus recounts the names of many Persian lords who perished at the hands of the Greek fleet. Whether this list can be trusted is debatable, as Aeschylus could be just making up names for dramatic effect. 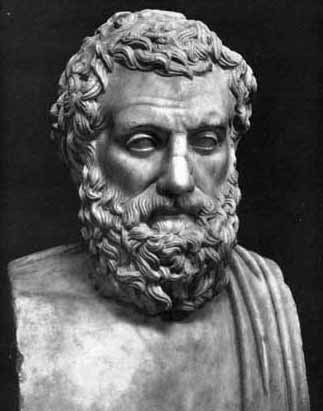 However, Aeschylus is believed to have been a veteran of the Battle of Salamis, so he might have had privileged knowledge of the commanders involved in the battle. Aeschylus’s status as a veteran of the battle lends credence to the play’s usage as a primary source for the Battle of Salamis. While it can provide little in the way of tactical description of the battle, it does demonstrate the mindset of at least one veteran, who believed that his actions, and the actions of his fellow sailors, were a divine instrument of punishment against a prideful and reckless foreign leader. By bridging the Hellespont, Xerxes laid offense to the people of Greece, the gods and the land itself. Furthermore, it also shows an attitude of acknowledgement by the people of Greece that the gods played a role in the victory, and that victory was definitely not assured otherwise. If the Greeks were confident that the victory was entirely their doing, the play would be celebrating themselves, and not the gods. This would indicate that to the Greeks, the Battle of Salamis was indeed a desperate and serious battle for the survival of Greece itself. Take a moment and look at the featured image above this blog post. The painting is Wilhelm von Kaulbach’s Die Seeschlacht bei Salamis (1868). Notice that the idea of divine intervention in this battle is one that has lasted through the centuries. Those figures floating in the upper right corner of the painting are gods. 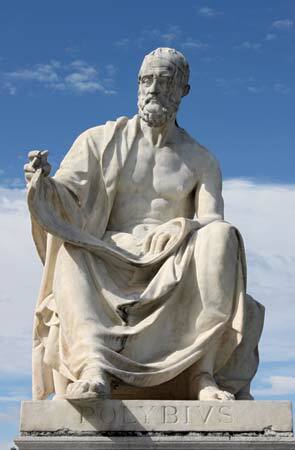 Aeschylus helped create the lasting notion that the gods were watching and acting at Salamis. You can actually see Aeschylus’s influence reflected in the painting, more than 2,300 years after Aeschylus fought at Salamis. Herodotus, The History of Herodotus, trans. George Rawlinson, accessed June 24, 2015, http://classics.mit.edu/Herodotus/history.8.viii.html. Polybius, Histories, trans. W.R. Paton, accessed June 25, 2015, http://penelope.uchicago.edu/thayer/e/roman/texts/polybius/home.html, 28.10. Aeschylus, The Persians, trans. Robert Potter, accessed June 25, 2015, http://classics.mit.edu/Aeschylus/persians.pl.txt.